Any guy will tell you if you're frying meat, you need the right pan. It's a necessary ingredient. 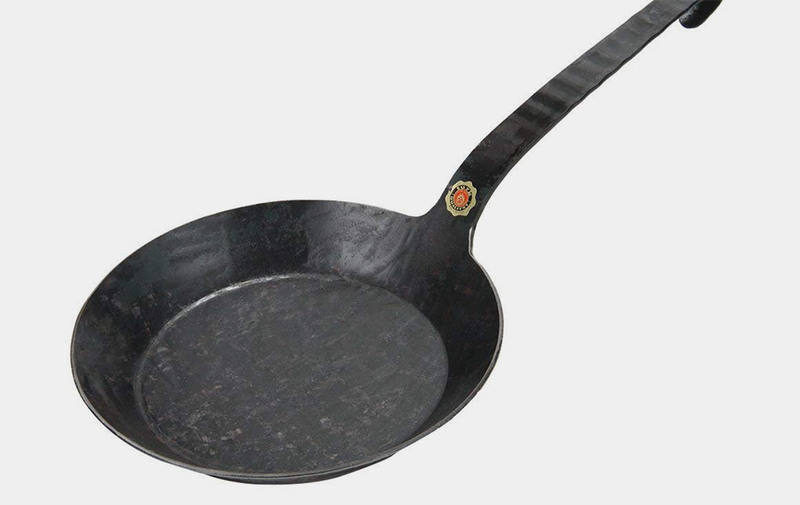 The Turk One-Piece Forged Iron Fry Pan is perfect. It is forged and formed from a single piece of iron. The process gives it a seamless handle-to-pan structure, a unique surface, and a quality that means that it will have a longer life. It is heated at 1000 degrees C, then the metal is struck with a hammer until shaped. The continuous grain from this process makes the pan get hot faster than cast iron. This keeps things hot allowing food to stay tender inside and get crispy outside.